A sign marks the transition from the new composite decking and the old wooden decking of the Orono Bog Boardwalk on July 5, 2017. The Orono Bog Boardwalk, one of the most popular nature walks in the Bangor area, will close early this fall — at 4:30 p.m. Saturday, Oct. 13 — for renovations. The next day, a crew of volunteers will get to work replacing 65 of the boardwalk’s 509 sections as a part of an ongoing $1 million project to replace the entire wooden boardwalk with longer-lasting material, according to Jim Bird, director of the Orono Bog Boardwalk Committee. “It’s hard to say, but it should take about 7 to 10 days, depending on the weather and number of volunteers,” Bird said. The Orono Bog Boardwalk, originally constructed out of hemlock wood in 2002, is accessed from a trail in the Rolland F. Perry City Forest, which is commonly known as the Bangor City Forest. Beginning in a forested wetland, the wheelchair-accessible boardwalk travels across the Orono town line into a portion of the Orono Bog owned by the University of Maine. 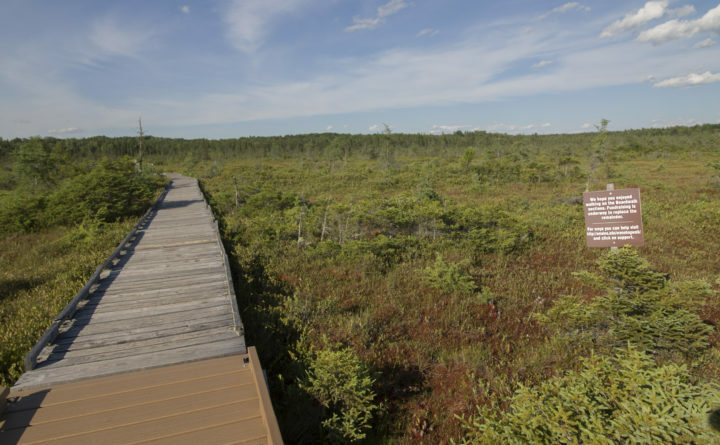 In the 616-acre peat bog, the boardwalk forms a loop, making it possible for people to walk through a delicate and visually stunning habitat without making a negative impact on the fragile ecosystem. Reconstruction began in 2012 and has continued in phases ever since. The boardwalk is made up of 509 sections, each measuring 8 feet in length. 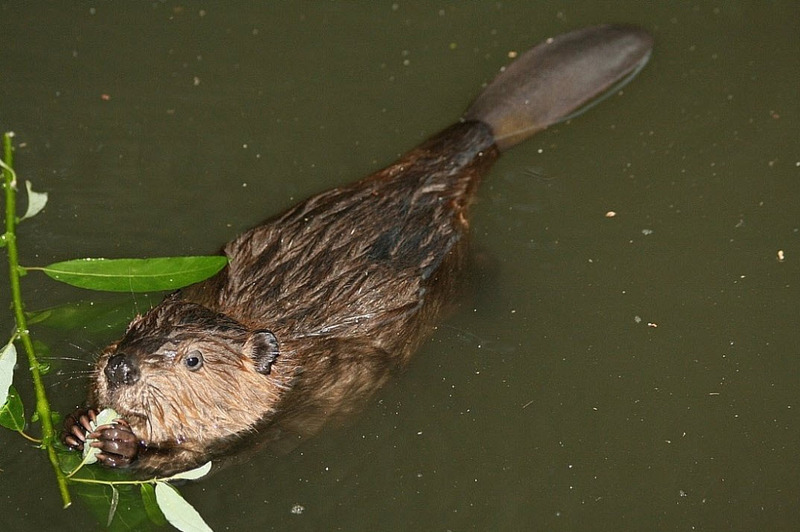 To date, 396 of those 509 sections have been replaced with sections built of composite decking, aluminum siding and stainless steel posts featuring floats that keep the sections level in the water-filled bog. The 65 sections added this fall will bring the grand total to 461, leaving 48 to be replaced next fall, Bird said. Then, the project will be complete. The Orono Bog Boardwalk Committee has about $70,000 left to raise, Bird said, and he’s confident they can do it. The boardwalk is always closed in the winter for the safety of visitors and to reduce damage. It typically re-opens in the spring. For the 2018 season, the opening day was May 1. If interested in being an Orono Bog Boardwalk volunteer, email Jim Bird at James.Bird@maine.edu.